But what actually is the ‘Cloud’? The easiest way to explain this is by comparing to what most businesses are used to – and that is, On-Premise systems. Many businesses have at least one Server Computer in their office, even if it’s just a ‘main workstation’. This Server stores all of your Company Data, might store and manage your Company Email, Printers, Business Applications (e.g. MYOB or other Database) and more. Traditionally, having to purchase or upgrade these Servers or On-Premise systems can sometimes come at a large financial outlay all at once and would or should last 3+ years before having to upgrade again. So the idea of moving to the Cloud involves moving your Company Data, Email & Software online – on to the Internet. Instead of having to purchase On-Premise Servers, many businesses are now opting for a monthly subscription to Cloud services to store and manage all of their Business Systems Online – accessible from anywhere. 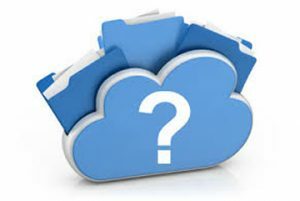 What Cloud Providers are there? I’ll mention the most common providers and those we here at Noytech partner with and utilise for our Clients. Microsoft Office365 – Exchange Email, SharePoint Intranet & OneDrive Cloud Document Storage and the Microsoft Office Suite (Word, Excel & Outlook,etc.). All of these Services are delivered online and syncronised directly with Users’ Computers. Bitdefender Endpoint Security Tools – Bitdefender’s Cloud Anti-Malware Protection & Security. The Anti-Malware Server and Policy Management Console is all Online, not on an On-Premise Server. No obvious headache of upgrading Servers every few years and no large initial outlay. And generally speaking, you always have access to the latest and greatest the Cloud Service Provider has to offer. And especially attractive for those businesses with mobile staff, having access to applications and data anywhere, anytime. Updates…oh the updates. Security is a big problem, and this is a whole topic in itself; we all know how often we’re prompted to update Adobe Reader, Java, Windows, OSX, Phones & Tablets. Without these security updates, you’re wide open to attack – by which I mean risking having your private information stolen and your computer or device hijacked. Having many Business’ Data stored online with the various Cloud Proviers makes these systems a larger target for attackers. Now, security aside for a moment, the other purpose of updates are the release of new features. We love new features right, though have you noticed how often changes are delivered? If you have a PC, Notebook or Mac, a current Mobile Phone, maybe a Tablet – think about all of the Apps you have installed and use across all of these devices. Too often do we have calls from Clients stating they used to be able to do something a certain way only they now have to do it a different way, and are usually expected to magically know how. Or they once had something turned off for specific reasons only to have it turned back on or continually prompt following updates. Firstly, understand exactly what the Cloud has to offer – talk to us, it’s why we’re here. Cloud providers do their best to simplify their Apps and Software for the End User to access and manage themselves, however it doesn’t always work out that way. Your local IT provider is still often required to make all of these systems work together in harmony. Depending on your business (and internet connection), it will be feasible and likely beneficial to move at least some of your Business Systems to the Cloud. For most, we find a mix of Cloud and On-Premise Solutions work best. Never feel pressured to move and always ask questions if you don’t understand something completely.